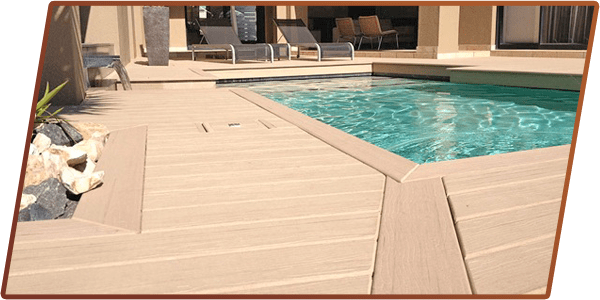 Leisure Decking is committed to ever changing materials, outdoor decks have always been made with wood in the past. However, regular wood is susceptible to a lot of damage from weather like rotting, liquid absorption, and it requires re-finishing and re-staining often. Now you can move away from the common rainforest timber deck with all of its associated environmental concerns like maintenance issues. So give Leisure Decking a call and see if we can help with a long lasting no maintenance deck. ...Get in Touch with us Today!